No. 2 Georgia can validate its ranking and No. 13 LSU can redeem itself when those teams meet in an SEC showdown on Saturday afternoon in Tiger Stadium. The defending national runner-up Bulldogs are 6-0 and 4-0 in the SEC, but they have played just one ranked team, beating then-No. 24 South Carolina, 41-17, on Sept. 8. The Tigers (5-1, 2-1) were one of the biggest surprises of the first half of the college season, climbing from No. 25 in the preseason poll to No. 5 before losing at then-No. 22 Florida, 27-19, last Saturday. 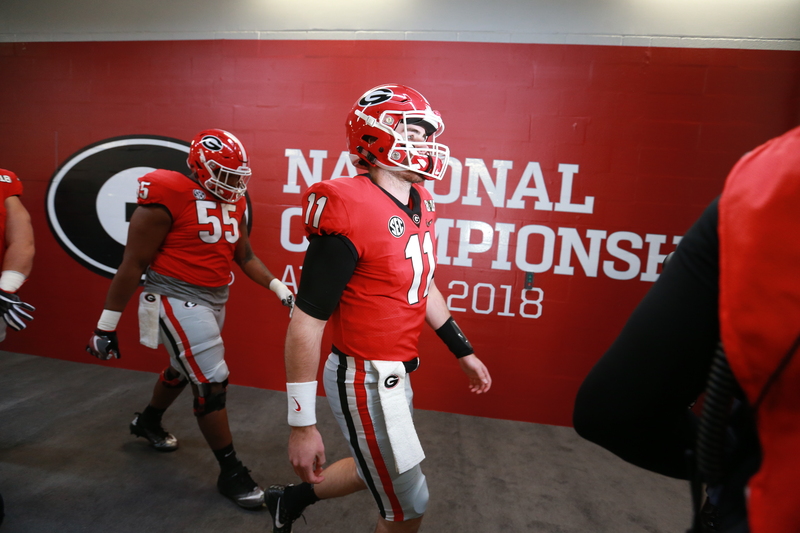 Georgia can demonstrate that it’s worthy of its ranking beyond just lofty preseason expectations as it begins a stretch of four consecutive games against ranked conference opponents. After Saturday’s game, the Bulldogs have an open date before facing No. 14 Florida, No. 18 Kentucky and No. 21 Auburn. LSU just played a physical game in a tough place to play when it came up short against the Gators. “We should have won that football game,” Tigers coach Ed Orgeron said. “(The Tigers) know it. I think the team is hungry. This is going to be a tremendous challenge for us. LSU has entered the most challenging part of its schedule as well. Next week the Tigers play Mississippi State, which re-entered the rankings at No. 24 after ending a two-game losing streak with an upset victory against then-No. 8 Auburn last week, before getting an open date and facing No. 1 Alabama. “This is a very hectic schedule and it passes by so fast,” Orgeron said. “If you look back in August, it’s like the blink of an eye that we’re already on our seventh game and we’re playing Georgia. LSU is still alive in the SEC West race and potentially even the CFP race, as long as it doesn’t lose again. Georgia still has to face its closest competitors in the East in Florida and Kentucky as it defends its East division title. The Tigers hope they haven’t played their best yet. They opened the season by beating preseason No. 8 Miami (33-17), then two weeks later they went on the road and beat then-No. 7 Auburn (22-21) in their SEC opener. But Georgia is the deepest team they have faced so far and LSU is lacking depth in certain areas, including offensive line and linebacker. “We have to keep our guys fresh, but we have to make sure that the guys that we rotate can handle the player that they’re playing against,” Orgeron said. “So I think that it’s a fine line there. We just can’t rotate to rotate. We have to look at the matchup, see if we put some guys in.